Here’s what I suggest when it’s time to choose an exterior house color. This is particularly important if you’re selecting permanently installed siding as you’re stuck with the color for 20 years or more. 1. Look at nature. If you live in Florida, nature gives you everything from wonderful pastel shell tones like light pinks and peaches to bright hibiscus reds. And the sky and ocean provide the cool side of the palette. So when you’re choosing a house color, select colors that you see in your surroundings. A bright coral house in Florida looks perfectly acceptable because the color appears naturally in that environment. If you live in Wisconsin or Vermont, however, that’s a different story. Nature in the north gives you earth tones like browns and olive greens and rust and even black. Spearmint green really stands out against a backdrop of evergreens and that’s not a good thing. So when you’re choosing a house color in New England, choose a color and a hue value that appear in nature. That would not include bright turquoise but might include a grayed-down slate blue like Benjamin Moore’s Jamestown Blue (HC-148). 2. Look at your neighbors. It’s the reverse of “keeping up with the Joneses.” You do not want the same house color as your next-door neighbor even if he stole your favorite color. 3. Respect history. If you live in an old house, choose a color that might have appeared on the original. There are many colors in the historical palette, but there are several that are not. When in doubt, stick with the tried and true historical palette, such as Benjamin Moore’s HC colors. This tasteful array of hues suits most homes, especially traditional style colonials, old or new. Richmond Gold (HC-41) looks great with black shutters and cream trim. And the greens, such as Louisburg Green (HC-113) blend beautifully with natural surroundings. 4. White works. White homes have a presence, a traditional elegance that fits in many historic areas. But in the winter, they either get washed out or they look dirty gray. White works if you keep up with the paint job and keep the house’s exterior clean. Be sure to add color with your door and landscape plantings. And black or dark green shutters. 5. Victorians follow their own rules. If you live in an old Victorian home, do some research and discover all your color combination options. All rules of conventional taste can be broken when you’re highlighting the detailed trim on an old painted lady. 6. Where to use purple. There’s an old brick house in Cambridge, Massachusetts, with a dark purple metal roof and dark purple front door. The combination is quite stunning. Purple is great as an accent color on front doors, wreaths, and landscape plantings. A little purple can go a long way, but used carefully, it’s a great color. 7. Blend or be seen. The bottom line for house color is to decide whether you want your house to blend tastefully with the others in the neighborhood or stand out as the focal point on the block. If you decide to go off the natural palette and opt for a crayola-bright color, consider using that hue for a door color or some other accent instead of the house color. You’ll make just as big a statement and stay within the realm of good taste. One more thing. House color is important to your children. 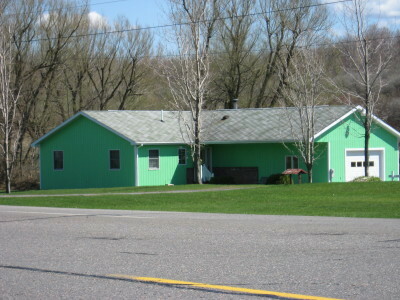 When I was away at camp one summer, my parents painted our house orange with green shutters. (Orange was supposed to be gold but the paint store messed up and my parents did not have the color sense to stop the presses.) Horrified is the word to describe my shock when I returned from camp. From that point on, my house was known and identified around town as “the pumpkin house.” Don’t do that to your children! Follow the guidelines and select a paint color for your home that will show your good taste and make your home look its best. I have two homes, one in Florida and the other one is in Maine. I decided to have the exterior home painted, but by not being physically there I recommended and paid my interior decorator to pick out the color of the home. I had it painted so when I arrived in Florida the house would have been freshly painted. When I arrived in Florida and as the taxi driver is pulling up to the house, my eye’s got big. Six words came out of my mouth, “I do not like the color.” My husband looked at me and said,”it will fade.” My opinion is it looks terrible. But first what do you think I should do? After living with the color for awhile now, is it still bothering you? Sometimes the shock wears off after a week or so and it starts to blend into the neighborhood. Ideally, the decorator should okay the color with you before lining up the painter. If it’s totally hideous, then I would call your decorator right back and put it in his or her lap. You need to love your home and if you paid a decorator to help you, they need to finish the job to your satisfaction. There may be ways to soften the front with some landscaping that might be cheaper than repainting. If you’d like a second opinion on whether it seems out of place in your neighborhood, just attach a photo and we’ll have a look. My husband and I just purchased this great old 1910 home that has been updated a bit on the inside, but we are now hoping to make the outside sing! The problem is that a previous home owner painted the brick! My husband and I are in a debate about what to do now. We are ordering supplies to fix up the porch with decorative posts and railings to fit the Folk Victorian style of the house, we will be replacing the roof and replacing the fish scale shingles on the gables, but we don’t know what to do with the color. Right now it seems so stark with the black trim and shutters. Do you think it would be better to have the entire house, trim, etc. all in white? Is there any other trim color that would look good with a white house? I am scared to try to strip paint off of brick so we are trying to decide if we should keep painting it, or if we should put up siding down the road. Any suggestions or help you can give would be so helpful! I love this site and your advice! We purchased a house with tan trim and white windows. We put a Trex grey composite railing on the side porch and deck. At least you have white windows so there’s already some tie-in. I wouldn’t change the trim around the door because that will look funny with the tan trim on the rest of the house. But I would choose a really bold front door color — not white — and really make that the focal point. Then use white accents like pots of white flowers, a white Adirondack chair on the front porch, and other white accents so it looks like you really wanted that white railing. With a bold enough front door color, you’ll get used to the white railing and won’t even notice it after awhile. You’re still in the initial shock of post-installation. Hope that helps. Not to worry. I recently purchased a home and am considering repainting the exterior. The only problem is that it has a green composite roof. I am unsure of what colors to paint that would work with a green roof. The house is currently a light yellow but it is not my favorite shade so I want to change the color. What suggestions do you have? You can certainly go with any earth tone, like tan, taupe, or even camel. Light green also works — avoid anything too olive if your roof is more of a true green. Other yellows will work as well. I would avoid blue and red. 3 car garage will look like a carriage house .. white cedar shingles with a semi transparent stain..
house .. natural field stone front ..copper roofing..
right now i have ben moores sage green taped .. wondering if you had other thoughts of colors … also what color trim (white? off white ? ) and shutter colors ?? ( thinking black? natural stained ? want the feel of the house to be very organic/earthy .. informal ..
Hello! We recently had our home re-sided with white vinyl and Midnight green panel shutters installed…I love the classic look. The lower front half of the house is red brick. My question is this….we have only a side entrance door, not a front door persay so this is the main entry to our home. We are debating what color to paint this door. Either the Midnight green to match the shutters or possibly a nice rich cranberry red. While I think either would look nice, I think the green would be richer looking. The door hardware is brushed nickel. The door is fiberglass with oval cut glass insert so could be stained also…not my preference, but my husband did suggest that option. Any thoughts?? Thanks alot for any suggestions! We are renovating our one story (now one and half with addition kicked out back and dormer over front porch) and I need to pick colors. We have Hardie plank – not the prepainted, so we pick our own. I really like the look of what I call a butter cream – not yellow, but very creamy and thought about doing that color – trim and all. I have big windows on front and sides and hoped to use either a sage green or gray green shutter color with an architectural slate roof (greens, grays and brown) – would this work or should I use a lighter trim color? Also – would brown be better for the roof ? White is going to be the best complement to that nice light yellow. That’s an easy one! Hope it helps. It’s really a toss-up. The dark green will certainly go with the house at it would match the shutters and would look great with the hardward. The downside to the green is that it does not tie in with the brick (and perhaps would not draw a visitor’s eye over to the side entrance area). Depending on your landscaping/driveway, etc. if there’s no mistaking where the entrance is, then go with the green if you like that better. But if the door is kind of hidden from the street side, then I would choose nice brick/brownish red that will stand out as people drive up the street. The red would add punch to the side of the house (since there’s no brick over there) and would tie in with the brick on the front. But either will work. It’s perfectly fine to use the butter cream for the trim. When the siding is that light, you really have two choices, white or the siding color. So cream is fine. As for the shutters, they sound terrific too. Green is always a nice complement to light cream. As for the roof, I love the architectural shingles. As long as the roof isn’t completely green (there are other colors in it — as you mentioned) then you will leave options open for future shutter color. Monochromatic green roofs are quite limiting. We are having our house painted and thought we’d picked colors, (they are priming), but now I’m having second thoughts as the colors aren’t on the “color wheels” everyone starts with! We have a 50s mid-orange brick with beige grout, split-level in old neighborhood on a small hill surrounded by bushes, trees. A new brown roof looks good, so my question is about the shutters/trim/siding. The split level is compact from outside, but has no architectural interest. We love the colonial/oxblood home-built wood shutters and door and would like to keep that color. When we bought the house it also had light ocre/mustard trim, garage door, and siding above it but I’ve detested that color for 20 years! Question: 1. Can the siding and trim it be a nicer butter cream color or perhaps another color entirely (complementary). 2. The garage door matches the siding, but I have also read that a garage door should be dark not light to blend into a house. Rather than introducing another color, it seems that it should be the oxblood, right? Did you mention what color the siding is currently? I take it that the brick only covers the first floor in the front. I like the shutter color but would go with either the new siding color or the brick color for your garage door unless you want to call attention to it. Keeping the garage door the house color will actually blend it into the house. As for siding, since you have a lot of color already, I would stick with a neutral from the grout color. Then for trim, you could use the same color as the siding. That will bring the number of colors on your house down to three and that’s great. You could certainly go a shade or two either lighter or darker for the trim if you feel that an accent border would be better. I am wanting to paint my house. I will probably be selling it in the next few years so I was wanting something kind of neutral but at the same time I wanted it to stand out. I don’t want to minimize the potential buyers that would be interested but at the same time make it stand out from the crowd. I have a picture of my house that I could email as well as a picture of the colors I was thinking. If you could send me your email address I could forward those to you. Thanks in advance. It’s hard to explain the colors but my house currently is a off-white/beige with white trim. It has a greyish tint to the roof. I’m thinking maybe painting it a dark green with a brownish/mahogoney trim. I would like to email you the pictures though so if you could send me an email address I would gladly send those to you. Thanks for your advice. Hi Barbara, I love this site! We would like to paint the exterior of our new home and need some help. I love the light yellow color (any good shade suggestion??) with white trim and black shutters but we have a green roof and brown front doors. Is this too many colors? What do you think? We are also putting in a black fence so thought the black shutters would tie it in. Light yellow will work with your green roof. Have a look at Ben Moore’s Hawthorne Yellow. But you’ll have to paint your front doors black. Then the black shutters will make perfect sense. We have a split level house. The exterior is brick and siding. The window sashes are dark brown. The brick has a lot of earth tones: brown, tan, clay, orange. The siding is Glidden Quiet Light (very neutural like grayish/tan). We’re stuck with not knowing what color to paint the window frames, shutters, downspouts, soffit. The window sashes are dark brown and nothing is blending very nicely. You might try a cream for the window sashes (like Cameo White from Ben Moore) to provide some contrast with both brick and siding. White would also work, but the cream is warmer. As for the shutters, black is always a good bet on both your colored brick and the grayish/tan siding. For the soffit and other trim, cream. For the downspouts, use whatever color is behind them to camouflage them. We are in the Seattle area and would like to paint our early-70s split level home. It is currently light blue with white trim, white shutters, and a black door. There’s a red brick facade next to the garage and to the right of the front door. The initial color samples I picked up from Benjamin Moore are: Nantucket Gray, Kingsport Gray, & Wethersfield Moss (these are the colors I gravitated toward). I like greens, olives, woodsy-type colors. Thanks in advance for any advice you can pass along! I will send pictures in a separate email! Forgot to ask about the garage doors! Same as trim color? Or same as house color? Since you’re surrounded by green, I would move the house color more toward the Kingsport gray or even Ashley gray so that the house will stand out from your expanse of green grass. I think the Weathersfield moss and Nantucket gray (although terrific house colors) might get lost. You might consider removing the shutters for a more contemporary look and I wouldn’t hesitate to paint the little brick that you have. Your house will look bigger. As for trim, the white brightens up your facade and would look best with the two gray colors even though your windows are brown. I would stick with house color for your garage doors. For the front door, have a look at toasted chestnut (2174-10) or cinnamon (2174-20) — nice with your brick chimney. Bottom line: You have a lot of color in your yard, and I would opt for a neutral, contemporary scheme (with the exception of the front door) to really complement your gardens and Seattle’s finest grass. I can’t wait to paint over that brick 🙂 A little bit of the foundation shows too – should that be painted too? Or just be left alone (no one has ever painted it). And when you say white trim, do you mean white-white? Or an off-white/cream/etc? Is there a Benjamin Moore color that you like? Leave the foundation as is — no paint. You can camouflage with plantings or pots. As for white paint, no it doesn’t have to be white-white. You can warm it up with any of the creamy whites (like cameo or antique white). Since your windows are a different color, you don’t have to match anything. We’re putting siding on our house that is a sage green — the house is a ranch style with a double garage. My question is what colour to paint the front door. We are fluctuating between a blue green, a moss colour and bronze/dark rich brown. The trim on the house will be white, and the roof is a shake=look mix of grey and tan with a grey chimney coming up in the middle of the house. I really like your ideas for the front door. Mixing greens gives a nice effect but so does the dark rich brown. Without seeing the house, it’s a little hard to pin one of these great colors down to your sage green siding. I suggest that if the front door is under an overhang (kind of dark), you avoid the dark brown. The color will get lost in the shadows. I also think I might pass on the moss color only because the yellow in the moss will not coordinate quite as well with the sage. But the blue green will look spectacular since it’s adjacent to sage on the color wheel and will look great with white trim. We have a classic 1945 colonial in New Jersey. White with black shutters. Front door is currently black, but we are replacing it and I’m considering changing the color. I love the way the house looks now, but I’m wondering if the door should be brighter to be more welcoming? I usually have a wreath on the door with some color and also flowers on the front steps that add color. Red seems to be an obvious choice – I looked at Benjamin Moore Heritage Red but worry it will be too bright. Classic Burgundy or Cottage Red look nice but maybe too dark to bring enough color. I also picked up Affinity Pomegranate. What’s a great, classic color for a front door? I’m open to suggestions on other colors and other paint brands. I’m looking at an Affinity exterior brochure with a gorgeous red called Caliente (AF-290). Not as bright as Heritage Red but more vibrant than both Classic Burgundy and Cottage Red, both of which make nice house colors but you can certainly go bolder for the front door of a white house. Compare the Caliente to Pomegranate and see which one you like better. I don’t think you can go wrong with either red. Truly a classic for a classic house. We have a 5500 sq ft Nantucket style home we built 4 yrs ago in Oregon. We are residing the entire home because the shingles were installed wrong and are falling off. Because we are up on a knoll and the south side gets hit with extreme weather effecting the longevitiy of the shingles, we have been advised to reside with cedar lap siding. This painter wants to start in a week or so and I am stuck on the paint color. I have 10 qts of samples but think I am on the wrong track. I had picked a dark green (KM Hamstead) (with white trim and black front door)which is a color in our evergreen environment prior to reading your suggestions on how to pick exterior colors. However the darker colors fade and look terrible so I am back to sqare one. Also I wasn’t convinced that dark green would be a color appropriate for this style home. Given the style, can you give me some recommendations. Our neighbors homes are yellow/black shutters (farmhouse style) and the other is white/black shutters (colonial). I tend to want something “different” rather than “safe” but I don’t want an eye sore of course! Help ASAP! Another note is that the dark green will not show off our landscape (I am an avid gardner). Winter in oregon is mostly green and brown – little color. We need a house color that is a back drop for the landscape but that fits with the surroundings. The house that was here before we rebuilt was taupe on the green/brown side (no pink taupes please) with black doors and white trim. I will use this if I can’t come up with something else. But even then I can’t come up with the right taupe! Our painter uses Sherwin Williams. Final Note (sorry I keep remembering things to add! ), patios will be variegated PA flagstone, gutters/downspouts are copper and hardware is oil rubbed bronze. We have a LOT of work to do on our house exterior, however, my question is about what color to do the shutters and front door. We were thinking black shutters with a red door? I will attach a picture. We are really open to any shutter/door combination, do you have any suggestions. We are getting ready to sell and just want some curb appeal. Sorry that the photo didn’t come through — I have purged the trash. But hope you like the Richmond gold idea — your painter can always have that Ben Moore color matched at SW. Happens all the time. I think black shutters will dress up the house quite a bit, and I like the idea of a red door. Just make sure it’s on the pink side of red (like Ben Moore’s raspberry truffle 2080-10) and not on the orange side since you have pink flowers in the front yard. I know they’re probably gone by now, but just planning ahead for next year. Just email me if you need more help with selling. I have been on the Ben Moore website and can’t find Richmond gold. Is this an retired color? Richmond gold is Historical Color 42. It should definitely be there. I need HELP!! We are building a Lindal style home (lots of windows and high ceiling facing west)on our waterfront lot. It also has a view of the Olympic Mts. You see the east side of the house as you drive up. The only windows on the east side (“back”) of the house are some in the loft on the 2nd floor. The roof is a composite “driftwood mixed tones”. There are several skylights seen on the east roof. There is a large covered porch with the front door in the middle of the east side. The siding is Sherwin Williams “Cottonwood” and the trim is “Woodsmoke”. The front door is solid with a relite beside it. I would like to add some life to that side of the house and wondering about a BLUE front door ( I like “Provence” #ICC-74 by Behr) with a little touch of a third color (burgundy??) of the trim around the door and relite. What do you think? and what colors would you suggest? I couldn’t find your exact color selections, but the ones on the house, from what I could tell, are both colors found in nature. For the door, it’s okay to pick a vibrant French blue, but I would still pick the third color from nature in your area. Maybe a green from your roof or the landscape. Or a rusty orange from the sunset. That way the door will stand out as a feature but the rest of the house, including the sidelights will blend beautifully into the landscape. Unless you’re coloring a “Painted Lady,” Victorian, I would stick to colors (with the exception of one for the door) that you find in your particular piece of nature. We are building our first home and I have been debating back and forth on the shutter color. Our home is the Craftsman style with sage vinly siding and rhy colored shake on the garage and top point of home. We are putting in the pella craftsman style door which will be stained a walnut color and having brown stones under our pillars on the front porch. I was wondering if you think White shutters will be too loud with these colors? The garage door will be white along with all the trim and the overhang wood over the garage door. I can’t do Black because of all the brown tones with the door and the stone. What other colors would you recommend or do you think the white will compliment the home? I would just leave the shutters off the house altogether. Many Craftsman style homes do not have them at all. And it sounds like you have a wonderful color scheme without the added color of shutters. I definitely would not do white, though. You can do black as long as you have other ironwork (lights, lampposts, etc) somewhere in the design scheme. Could really use some advice, we recently purchased a farm in Kentucky with beautiful rolling hills and lots of trees. There happens to be a small farm house on the front of the farm that we plan to sell. We are currently fixing up the inside of the house, but the outside needs some TLC. The house has aluminum white siding, metal window canopies or awnings that are green & white stripped and a green roof. I’m thinking of painting the house a tan color and blending the window awnings in by painting them the same color and maybe adding an accent strip (only one) on each side in white. Any suggestions to make a small farm house look its best? Can’t decide on the front door color, any suggestions for that? The trim around the windows should be white don’t you think? Call me a romantic, I suppose, but I would really play up the charm of the quaint farmhouse and your idyllic environment and paint the house red with white trim to match the white windows. Keep the awnings green and white stripe, paint the front door green, and you’ve got what I envision, at least, as an adorable farmhouse that will draw the buyer’s eye. I would not try to update the look with a more sophisticated neutral color scheme. Go for the history and play up the charm. My house is a cream color with dark brown tin roof and brown shutters. We just stained our pool deck and back deck a Jarod brown. Should the spindles and posts on the back deck and front porch be matched to the roof or the color of the house. The trim work and the front door is white. I suggest either the roof color or white (your trim color) so there will be some contrast against your cream house. Either one will work, but if it’s a rustic style, go with brown. If it has more formal spindles and posts, go with white. Sorry for the long delay. Hope you see this. I would go with black shutters. You’ll love the final look!! Not crazy about mixing greens, and white is a little outdated. You simply cannot go wrong with black shutters and a charcoal roof. Timeless! We have a 1905 craftsman bungalow in Santa Clara, Ca. I am trying to decide what exterior colors would work with our Chestnut/yellowish, brown composition roof. I have neutral tan houses both across the street and two doors down, so I was thinking of going with a really natural looking green/moss?, with dark window sashes white trims and gutters. What do you think? Or, what would you suggest? Any advice would be greatly appreciated. Sounds perfect. As long as you stick with earth tones like a nice rich mossy green, the house will look terrific with the brown roof and will maintain the historic craftsman style. Just pick a green from an historic color palette (most paint lines have a group of historic colors) and you’ll be safe. Just found your site and am thirlled. We are going to be getting new siding and a new roof here in the next few months and are color shopping. Our home is a split level in Wisconsin. Currently, it is two toned with a lighter yellow on the bottom and a slightly darker shade on top. The top color is the exact shade of the yolk of and egg when it gets that vague greenish color to it! I guess I don’t need to mention that I don’t like it much. Our roof is green! So…my question is…should we keep to the two toned idea and if so, is it better to have dark on top or bottom? I’m not a huge fan of two-toned houses as I think the effect makes the house look smaller. But I know that split levels tend to have that paint scheme. If you decide to keep the two-toned effect, then definitely put the darker color on the bottom to ground the house. otherwise it looks top-heavy. As for color, with a green roof, you can choose a more appealing yellow, like Ben Moore’s hawthorne yellow on top and bottom. White and tan also look very good with a green roof. Again if you want a two-toned effect, just pick your tan color and go one shade darker for the bottom. Another color that goes with a green roof is a rust/brown. If you choose a darker color like that, I would paint the whole house that one color to maximize the size. Can you suggest a different color for our shutters and front door? I would like a classic look. I was considering painting the sidelights white & the door a different color as well. You mentioned that you want a classic look. Then definitely stick with black shutters and add color to the door and the landscape. Love it! Along with avocado, experiment with a couple of other warm colors like sunny yellow and red-orange. Stand back at the curb and have a look at the house. You’ll know which color to pick for the door. Barbara. Just a follow up from September. We painted the front door Caliente (Affinity) and it looks gorgeous with the white house and black shutters. Thanks for your input! So glad that color worked out for you. Thanks for letting me know! We are in the middle of painting our house and think we may have made a mistake with the color choice. The Roof is a brown dimensional shingle, the house color is green Grey, trim is going to be white, and the wooden shutters (currently not on house) was going to be black. Its hard to see in the pictures but there is trim under the eaves and i plan on framing the front door in with wood trim. Do you have color ideas for the house, trim, doors, and shutters that go with the roof color? Should we lighten the green or should we even stick with green? I may be too late to help you, but if not, here’s an idea. Yes, the green of the house is bringing out the red tones in the roof color and making both siding and roof pop. Very dramatic. If it’s too much, try going over the green with more of a taupey beige (Ben Moore’s Briarwood might help). If you neutralize the siding, the red roof will blend. Then you could use a Georgian brick door to tie in with the roof. The trim color is fine. Hi Barbara, I purchased a 1956 ranch home with white vinyl siding and white awnings on the windows. I want to paint the awnings and the front door a contrasting color, but don’t know what color. I was thinking of a copper color to add some spark to the place. There is a screened porch that was built to the left side of the house with red brick, otherwise it’s all white and a little boring. I was also thinking about burgandy for the awings and front door. I keep reading about black as a good contrast for white, but it gets awful hot here in SC in summer. How about a fresh spring green for your awnings, something like either Ben Moore Affinity Collection’s Urban Nature AF-440 or the Historical Collection’s Kittery Point Green HC-119. The green will go beautifully with the brick but will not add visual “heat” to your South Carolina home. Then you can paint your door Audubon Russet HC-51 (and maybe replace your storm door with a full-view version so you can see the door better — white will work). The combination of fresh green with your brick/rust will really jazz up the house and be sure to turn heads in the neighborhood. I know I wrote to you via email, but here’s a blog post so others can share. I do like the black/charcoal roof idea with black shutters. Classic look! White siding is fine– you can stick with black for the front door or add color on it. Red is classic but there are other great colors that you have the liberty of adding to your door since the house will not compete. Rich teal, burnt orange, and bright lemon yellow come to mind. You are currently reading Choosing a Tasteful House Color at Your Home & Color Coach.